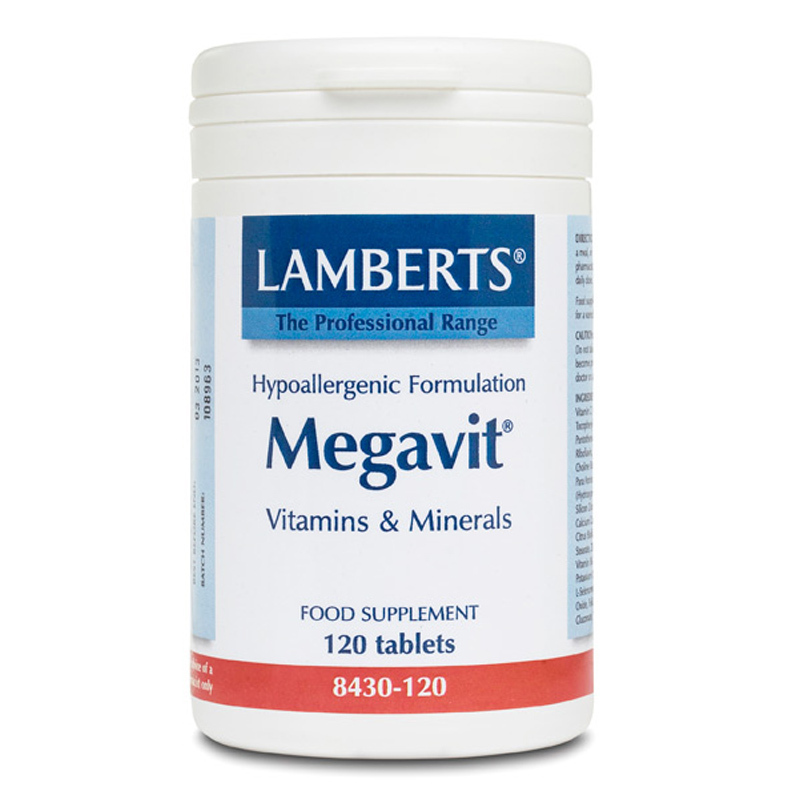 Formulated for the very active such as athletes, at two tablets a day Megavit® is our highest potency multivitamin formula. 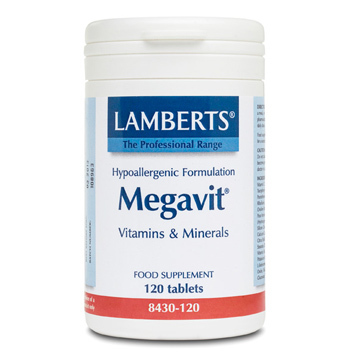 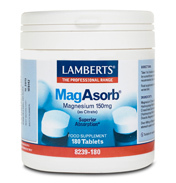 It contains significant levels of the B vitamins as well as the main antioxidant vitamins A, C and E.
For a full supplement regime, Megavit® must be taken with a multimineral formula such as our Mega Mineral Complex. 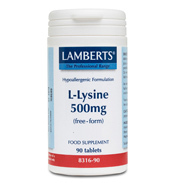 Vitamin A, Vitamin D, Vitamin E, Vitamin C, Thiamin, Riboflavin, Niacin, Vitamin B6, Folic Acid, Vitamin B12, Biotin, Pantothenic Acid, Iron, Zinc, Iodine, Manganese, Selenium, Copper, Choline, Inositol, PABA, Citrus Bioflavonoid Complex, Rutin, Hesperidin, Glutamic Acid, Potassium, DiCalcium Phosphate, Cellulose, Crosslinked Cellulose Gum, Tablet Coating (Hydroxypropyl Methylcellulose, Glycerin), Silicon Dioxide, Stearic Acid, Calcium Carbonate, Magnesium Stearate, Magnesium Oxide. Caution: This product contains Vitamin A. 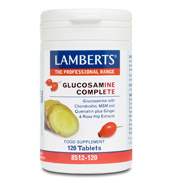 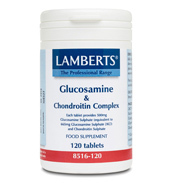 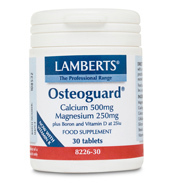 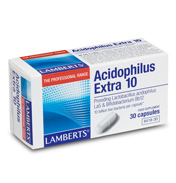 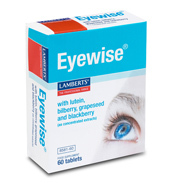 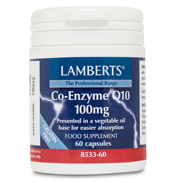 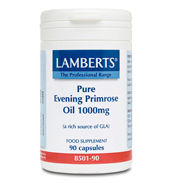 Do not take if you are pregnant or likely to become pregnant except on the advice of a doctor or antenatal clinic.